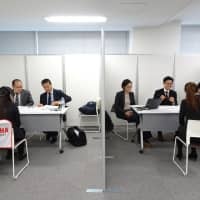 Dozens of young people from around Asia descended on Tokyo last month for a job fair, dressed in a plain black suit of the type considered “the uniform” for Japanese college students when they meet with prospective employers. Some of the visitors said they were attracted to the nation’s cutting edge technologies while others expressed interest in the comprehensive in-house training provided by Japanese firms. However, Japan Inc. may not be all a bed of roses when it comes to conservative labor customs. 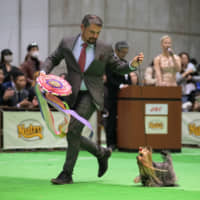 These include the male-dominated management style, rigid seniority system and long hours that sometimes even results in death from overwork, the phenomenon known as karōshi. “I think women in the workplace still don’t get equal rights. This is the only problem that I’m worried about,” Wan Hsun Chang, a student at National Tsing Hua University in Taiwan, said during the job fair for Asian students on Dec. 19. Amid Japan’s grave labor crunch and business circumstances that are increasingly becoming global, many Japanese companies are looking to ramp up the number of talented non-Japanese college graduates and professionals they employ. But their rigid personnel systems and corporate cultures are not necessarily attractive enough for foreign job seekers. To attract foreign talent in the highly competitive global market of professional workers, shedding that image by providing a clear idea of career paths and evaluating job performance more fairly are some of the critical actions needed, according to experts and employment agencies. Chang said the ambiguous career path is an item of concern. Yet for her, Japan looks to be an attractive workplace given its flexible employee training systems. “Japanese companies offer a lot of kinds of education programs. If I want to learn about finance, they can help me. But Taiwanese companies don’t usually help us” like that, said Chang, who is expected to graduate this year and hopes to land a finance-related job. Arish Ojaswi, 23, a computer science student from the Indian Institute of Technology, was another job seeker at the event, which was hosted by Tokyo-based employment agencies Pasona Inc. and Asia to Japan. He said he wants to work in Japan as an IT engineer because of the advanced technologies the country is known for. The stereotypical Japanese company, however — their deadly-serious and long-hours office culture — worries him a little. But many of the companies that he interviewed with “have greatly assured me how things have changed from the past,” Ojaswi said. Some job agents said the appetite for Japanese firms by non-Japanese workers has been growing recently. Many firms, though, have been slow in changing personnel and employment customs, they said. Neo Career Co., a Tokyo-based recruiting agency, started introducing Asian workers to Japanese firms in October 2016. “Even listed companies find it difficult to attract fresh Japanese college graduates in Japan … those companies have been struggling to follow their recruiting strategy,” said Go Nakamura, director of the cross-border business section at Neo Career. “We thought we could help them if we match talented foreign workers from other countries,” he said. About 2,100 non-Japanese job seekers have landed jobs at 400 Japan-based companies, he said. Many of those workers are from South Korea and Taiwan, some of whom have the added skill of being able to quickly learn to speak Japanese. 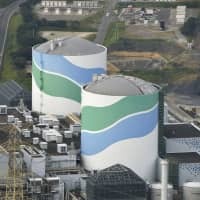 Nakamura said some of the non-Japanese workers have been dissatisfied after receiving unclear performance evaluations. Some said that even if they produced favorable results, they were not promoted. 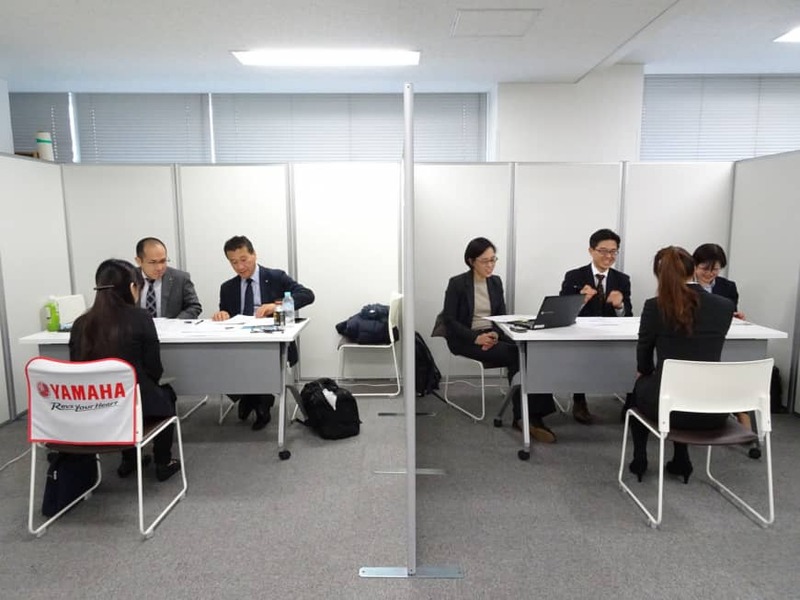 Miwa Funaki, leader of the job fair business department at Pasona, said many companies are still in a transition period as far as personnel systems are concerned. But companies that have a lower turnover rate of non-Japanese workers tend to have a fair evaluation system, he said. 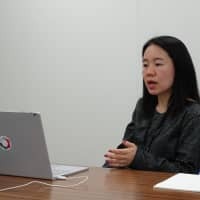 “I think foreign workers are more likely to change their workplace than Japanese employees if they know that their work is not appreciated in a transparent manner,” Funaki said. Many Japanese companies adopt an extended selection process like this because they rarely demote employees. The only exceptions to this strategy are those who committed some kind of misconduct, such as embezzling or getting sued for sexual or power harassment. “Japanese firms find it hard to demote workers, so they want to be sure that they are choosing the right people to be managers,” which leads to a time-consuming selection process, Suzuki said. He added that seniority-based salary and personnel management is still deeply rooted at many Japanese companies. Suzuki said it’s not a matter of whether the seniority system is evil or not. If companies clearly state it is their policy along with lifetime employment, and workers understand this, it can be a good strategy. In fact, Masato Sampei, CEO of Asia to Japan, which introduces students studying science in other Asian nations, said a good number of overseas students regard job security as one of the more attractive aspects of Japanese companies. 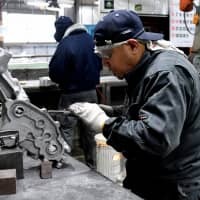 But experts also agree that Japan should reform its conservative personnel and employment culture if it wants to attract talented workers from abroad. That can be said of young Japanese workers, too. “I think the work environment that is suitable for non-Japanese people should also fit Japanese workers,” Sampei said. While experts note that Japanese companies are generally slow in redeveloping their personnel and employment customs, some have already started transforming themselves — because in some cases their very survival is at stake. Toyota Research Institute-Advanced Development Inc. (TRI-AD), a Tokyo-based research body focusing on autonomous driving technology that was established last March under Toyota Motor Corp., is such an example. Toyota might be the most successful Japanese carmaker, but its personnel system, originally designed for employees at the Aichi-based manufacturer, is quite conservative, so it doesn’t work well to attract overseas engineers who have great skill and an in-depth knowledge of new technology, said Naoko Sugiyama, who heads human resources at TRI-AD. When it comes to hiring skilled engineers from other countries who specialize in artificial intelligence, the carmaker finds it has to compete with other IT giants around the world. “We want to create from scratch a personnel system and various work styles similar to those of Silicon Valley companies. To do that, it’s best to launch a new company,” Sugiyama said. TRI-AD started with about 300 engineers, mainly from Toyota, but it aims to boost the number to 1,000. Sugiyama said TRI-AD does not follow the traditional seniority system. Instead, salaries are based on skill, experience and education background. 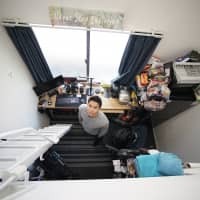 While it will open a state-of-the-art office in Tokyo’s Nihonbashi area this summer, engineers do not have to strictly observe working hours and they can also work at home. Another point is that Japanese-language skills are not needed, Sugiyama said. 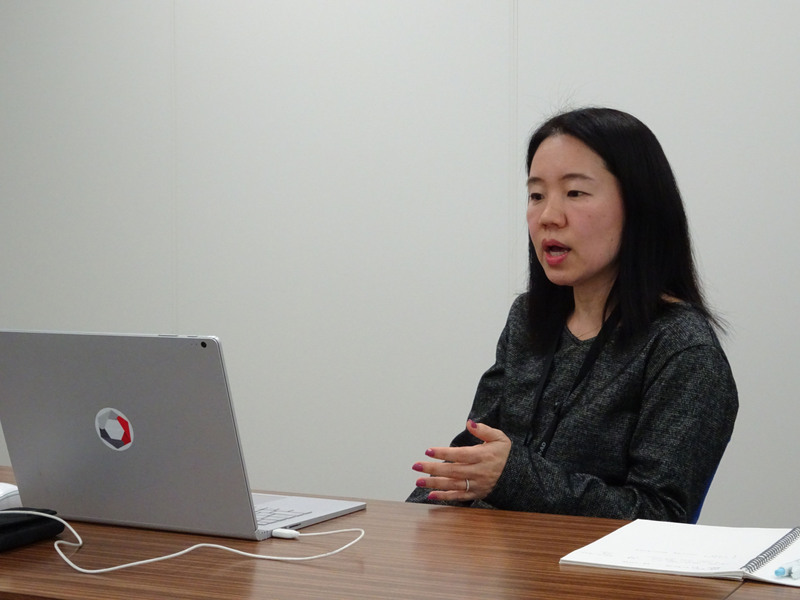 “We want to incorporate good aspects of Japan’s (corporate culture), including a training system,” she said. 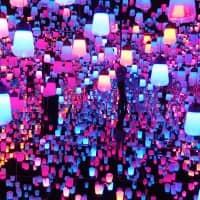 Still, building a new corporate culture that is drastically different from what Toyota has been using for years may not be an easy task, as Sugiyama admitted that this is a completely new experience for the automaker.